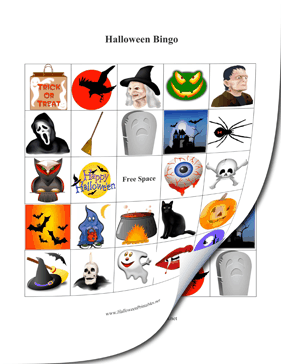 These free, printable Halloween bingo cards are perfect for a spooky party. They have lots of bright, scary pictures of broomsticks, spiders and graves and are fun to play with. The $19 version includes all of the Halloween Printables on this site, in DOC and PDF formats. After purchase, you can download them and use just a few Halloween Printables or the entire collection. If you don't see a Halloween printable category that you want, please take a moment to let us know what you are looking for.